Yep, that’s right. I’ve teamed up with the lovely people at Strings Magazine, and I’m having a little bit of a contest. In 250 words or less, what would you say is the essence of my take on learning and playing the cello? The reason I ask is multi-purpose. I want to know how well I am conveying my point, or if I am giving off inaccurate representations of my approach. I also want to challenge my readers to sift a little bit and see if that process yields anything that might be helpful to their experience with the cello. It’s easy to get lost in the day-to-day and lose the over-arching ideas that should apply to those days. The winner gets a one-year subscription to Strings Magazine and a goody bag of stuff from Benning Violins. If you are already a subscriber, then you get renewed, or you can gift the new subscription to a friend. Entries due March 31st! Send them to contact(at)emilywright(dot)net. *the image is from one of the greatest game shows of all time. 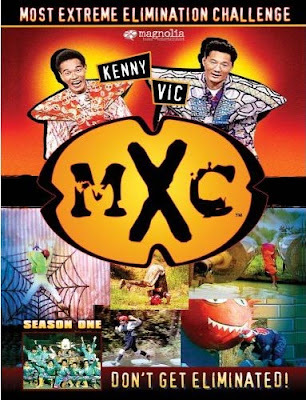 The alarming, hilarious, completely Japanese then English overdubbed “MXC”. Meet Joe, the Guest Blogger! Hi – this is Michael from CGDA. I’m not sure if it’s better to comment using my google account or using OpenID. Anyway, Let me know if you’d like some help with impartiality – I could separate the e-mails from the essays and send you only the essays along with an anonymous ID. I think this contest is a great idea. Hmm. I never thought of that. I’m already friendly with the people who are likely to enter (or I don’t know them, but appreciate the entry), so it would be like picking from favorites. It’s a pretty small potatoes affair. But I like the way you think. Let’s see what the next few days hold.